When this 48” heavy-grade aluminum light bar with its 88 LEDs are flashing in full force, it will look like a UFO has landed on the roof of your vehicle. The 30 spectacular flash patterns will attract attention from very far and wide because its Linear 1 Optics produce a high-intensity 360° light spread. The durable polycarbonate lenses are impact and temperature resistant and won’t break. 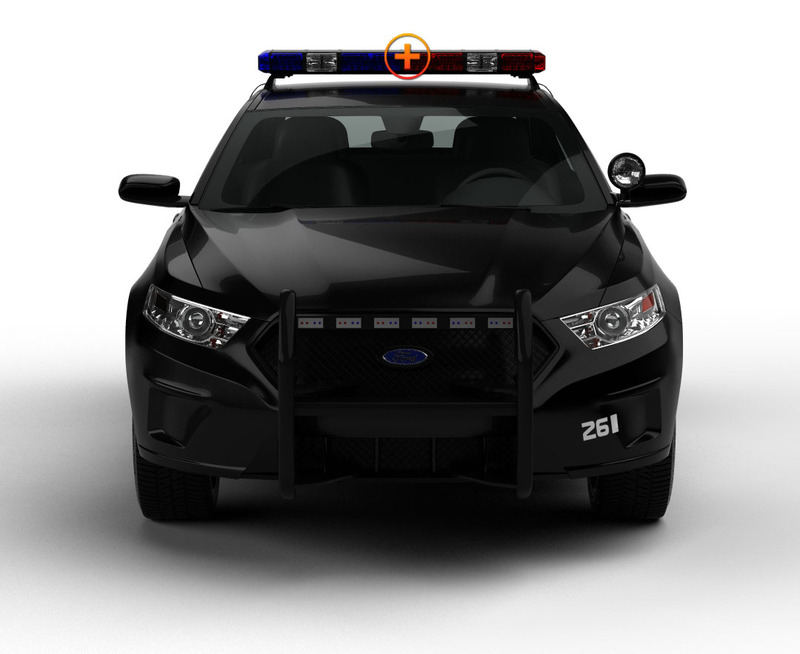 The light bar stands a little over 3” high on steel footings with rubber tips, but the actual sleek, aerodynamic body is barely 2”; it is attached to most police cars, fire trucks, or personal vehicles with universal gutter brackets and is hardwired into the control box. Choose from 3 solid colors or 5 split-color combinations, or contact ETD to customize the light color to meet your specific requirements. It’s usually best to use an EVT professional to install your emergency light, but if you decide to do it yourself, be sure to carefully read the instructions found in the Installation Guide in the Knowledge Base section of our website. Our customers are pleased to tell us what they think of our light: super bright, exceptionally bright, very impressed with the brightness. Fire departments have bought the 48” to update old fire engines because no other light bar gives you this much non-stop illumination for the price. Our LEDs are made to last 100,000 hours. We here at Extreme Tactical Dynamics are proud to offer our customers this phenomenal light bar, but it comes with a warning. At close range, never look directly at any powerful flashing LEDs such as our ‘48’, and always be sure to tell others not to. I recently installed it on my 99 Ford F-150. Looks sharp and is decently bright during the day. At night on the other hand it's like someone put a Christmas tree on top haha. I also like the alley lights which will help when I plow this coming winter. I have mine for about two years now. I love this light bar had not have any problems. All the lights still work as if I just installed it. Wow what a great unit at a great price! I was absolutely amazed at the brightness! The video really doesn't do the lights justice, must see in person to believe the brightness. Also a breeze to install with minimum effort. You can trust E.T.D. for your every emergency vehicle need! You can't beat the great prices with excellent customer service! Thanks! I purchased the light bar to use as a volunteer firefighter. I think the bar is a great for the price. I ordered red/red for the bar but I did not realize that the back of the bar was amber for use with the traffic adviser that is built into the bar. I assumed the back would be red like the rest of the bar. (Needs to be called out in the description or give the choice of the color for the back of the bar.) The bar is extremely bright in direct light and at night. I do which the controls for the alley and take down light were separate and were included in the flash pattern of the bar when activated. I compensated for the amber only in the back and lack of clear LED in the front of the bar by moving around the LED units. I moved two amber units from the back to the alley lights (I never use them anyways.) Put the clear units in the middle of the front of the bar and moved two red units to the back of the bar. Works like I want it to now. Thanks for a great product! I would buy it again. Slick, bright, was a breeze to install with minimal modifications. Heck yeah, I will definitely recommend! Can't beat the price either. I love this lightbar. Install was a breeze and the bar is super bright. Exceptionally bright. Not exactly brighter than a certain $2000 lightbar when placed next to it at the 45 degree angle, but, hello!, at almost a quarter of the price yet 95% as bright, cannot beat that! So far, my fire department has bought 2 of these bars. One for a command vehicle and the other to bring an older engine from the dark ages of alternator straining halogen. Only 2 things come to mind as complaints. Yes, the universal mounting bracket is not fun. For the command vehicle, I happened to have a set of very long bolts that fit into the mount connection area on the bar foot so that worked out. Secondly, I would like to see an option to not just turn on the takedowns/alleys, but to keep them off when the a code flash pattern is going. Just some thoughts! I am going to highly recommend this bar. I purchased this light bar and am pleased with the brightness,variety of flash patterns, and ease of installation. The mounting brackets were of no use to me. I used a set of whelen brackets that were designed for my patrol car. I plan on buying other lights in the future when i can. i RECEIVED MY FULL SIZE LIGHTBAR AND AM VERY IMPRESSED WITH THE BRIGHTNESS OF IT AS WELL AS THE MANY VARIES FLASH PATTERNS IT HAS. ONE THING I WOULD HAVE LIKED TO SEEN WAS A SPECIFIC MOUNTING BRACKET FOR THE SUBURBAN I AM MOUNTING IT ON. THE UNIVERSAL BRACKET DID NOT WORK ON MY VEHICLE WITHOUT SOME MODIFICATION. ALL IN ALL IT IS AN EXCELLENT PRODUCT.